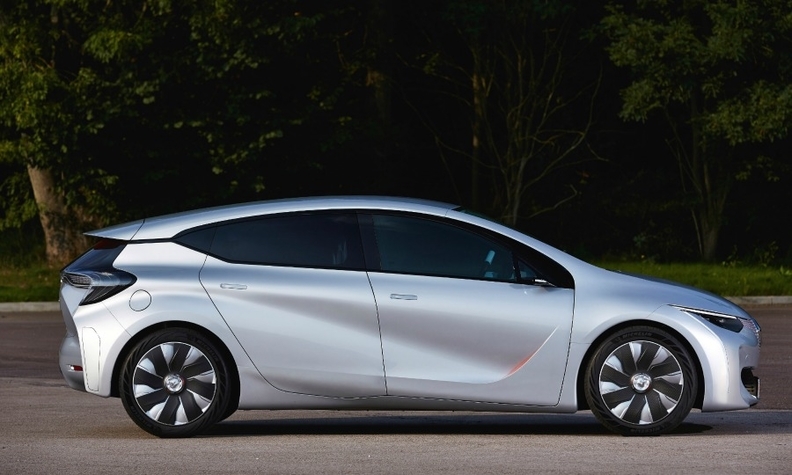 The Renault Eolab concept showcased the automaker's plug-in hybrid technology. RENNES, France -- Renault will wait for costs to decrease before launching a plug-in hybrid car, a senior executive said. Renault is ready to launch its first plug-in hybrid, but not everybody is prepared to pay the additional cost and hybrids still represent less than 1 percent of the market, the automaker’s chief performance officer, Jerome Stoll, said. Renault unveiled the Eolab concept at the Geneva auto show in March. The Eolab is powered by a plug-in hybrid powertrain that has a 75-hp 1.0-liter three-cylinder gasoline engine and a 6.7 kWh battery. It has a 60km range under electric power only. Renault will bring to market a production version of the Eolab “as soon as the market is ready,” Stoll said during the company’s annual shareholder meeting on April 30. Automakers are adding the technology as forecasts predict that plug-in hybrids will outsell standard hybrids by 2019 and reach 1.2 million sales annually in Europe in 10 years. Analysts say plug-in hybrids make more sense for premium automakers than for mass-market brands. Audi, BMW, Mercedes-Benz and Porsche are expanding their plug-in lineups. Volvo plans to offer plug-in variants of all its cars. “Premium carmakers see plug-in hybrids as the key bridging technology between EVs and traditional powertrains, but the cost remains high,” said Tim Urquhart, an IHS Automotive analyst. Jamel Taganza, an analyst for Inovev, said Renault has no interest in positioning itself in the high-end plug-in market and plug-ins sold by its rivals such as Volkswagen are too expensive for mass-market customers. Renault has bet on electric vehicles to meet demand for greener vehicles but its EV sales have been slow because of their limited range and expensive retail prices. Renault's forecast of a 10 percent market share for EVs was a “too ambitious,” IHS’s Urquhart said. The Renault Zoe subcompact EV does not have the range to make it a mainstream alternative yet, he said. The Zoe can travel up to 240km (149 miles) on a single charge.